Those familiar with the attitudinal disposition of the self-styled Ekiti State Governor, Mr. Ayodele Fayose, know him as one, who relishes in controversy. It is no wonder that whenever his name is mentioned, what comes to the people’s mind is that a certain disagreement is about to spring up or is already brewing within that premise. When Nigerians were still basking in the euphoria of the new year celebration, on Wednesday, January 4, Fayose in his characteristic manner welcomed the whole nation with a grievous and scathing allegation that the All Progressives Congress-led presidency, in cahoots with some of its local leaders were surreptitiously plotting to remove him from office, using the report of the Major Gen Adeniyi Oyebade-led Military Tribunal on Ekiti State governorship election. The tribunal was set up in 2015 by the military hierarchy to test the veracity of the claim by a young military officer, Capt. Sagir Koli that the election that brought in Fayose was rigged as well as the information given by Fayose’s estranged godson and Secretary of the Peoples Democratic Party in Ekiti State, Dr. Tope Aluko to that effect. The revelations of both Koli and Aluko were too startling to be overlooked. In actual fact, the report indicted top military chiefs, who had either been dismissed or forcefully retired from the service by the military board. 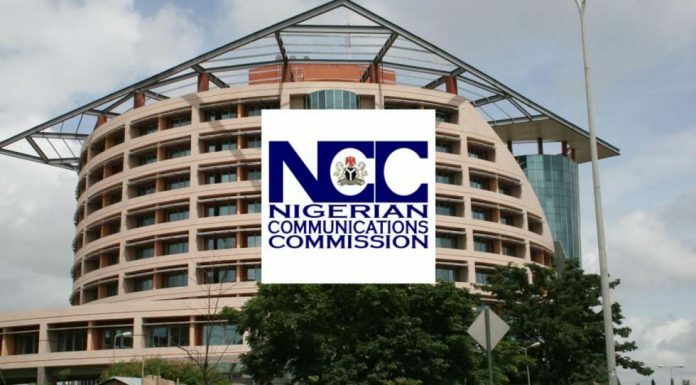 Since the submission of the report, no formal public pronouncement had been made by the federal government. But Governor Fayose and members of his political family have been viewing the silence as laced with sinister motive and that has created a serious discomfort for the governor, who has resorted to raising the alarm even at odd hours. In dissecting Fayose’s political trajectory, one could easily come to the conclusion that he and impeachment are gradually becoming siamese twins. The governor was impeached in 2006. He narrowly escaped impeachment in March 2015 by the Hon Adewale Omirin-led assembly. Having been successfully ousted in 2006, Fayose sees impeachment as his greatest political foe and albatross and he never wanted to dine with it again, even with a long spoon. In his strongly worded petition to the Chief Justice of Nigeria (CJN), Justice Walter Onnoghen, he raised the alarm over an alleged fresh plot to compromise a section of the Judiciary and muzzle democracy in desperation to oust him from office. The governor, who warned against any plot to destabilise Ekiti State, wondered how long the Ekiti APC and its collaborators will pursue their clandestine agenda of reversing an election they lost over 30 months ago and validated by the tribunal, appeal court and the Supreme Court. The governor brazenly fingered the presidency in the latest plot, with Oni and Fayemi as their local arrow heads. He alleged that a concocted fresh suit is being rehashed and to be filed against him on the same old allegation that had been trashed all the way from the Tribunal to the Supreme Court. 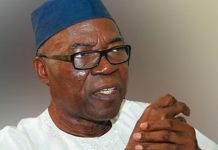 The governor urged the CJN to take “notice of judicial pronouncements by courts of concurrent jurisdiction as well as the scathing remarks of appellate courts on how the said Justice Okon Abang has been used in the past by anti-democratic forces to endanger democracy and engage in deleterious miscarriage of justice”. Fayose prayed that the Judiciary would not succumb to devious plots to undermine its independence and integrity and rubbish its good name and hard-earned reputation any more. “My Lord, you have a duty to ensure that no Judge under your watch is enlisted into this diabolical act by any rampaging anti-democratic elements. “The embarrassing incidents currently playing out on our National Judicial horizon, with several judicial officers, including serving Justices of the Supreme Court, enmeshed in simulated and orchestrated corruption scandals and indictments by agencies of the Federal Government because they had refused, at one time or the other, to serve the basic interests of the ruling APC government in matters pending before their Lordships, have kept us wondering whether the Judiciary will succumb to these unwarranted harassments and intimidation meant to coerce and cower it into submission and make this very important and indispensable Third Estate of the Realm subservient to the arbitrary wishes, whims, and caprices of the Executive and political desperados,” he said. in the state and beyond with individuals and institutions fighting hard to either condemn the plot or extricate themselves from the logjam. Also venting its anger against the alleged underhand plot, the Peoples Democratic Party (PDP) declared that the alleged subterranean moves will lead to the total collapse of the administration of President Muhamadu Buhari, if eventually carried out. 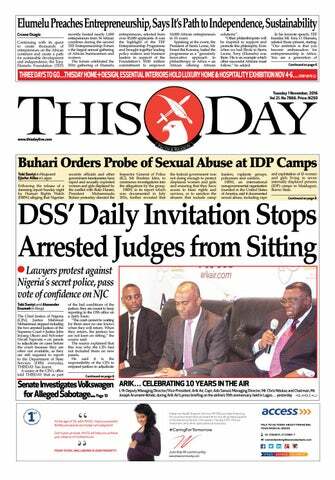 The party in a statement by Oguntuase, described as reasonable and justifiable, the letter written on Wednesday by the governor to the Chief Justice of the Federation, Justice Walter Onnoghen informing him on the alleged moves to co-opt a section of the judiciary to the devilish plot. Oguntuase branded Fayose as a man of the people and the opposition leader in the country, who commands enormous followership across the six geo-political zones of the country. “Governor Fayose is not just the Governor of Ekiti State, but the opposition voice in Nigeria. He speaks for all the oppressed Nigerians in the South-west, South-east, South-south, North central and even in the far North. If you look at the results of the 2014 governorship poll, you would think it was a tsunami because he won in all the 16 local governments. If truly democracy still remains the government of the people, then attempt to remove Governor Fayose will be tantamount to usurpation of the people’s power”, he said. The duo of Fayemi and APC didn’t treat the allegation with levity. 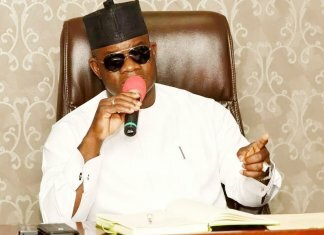 They fired back at the governor, calling him alarmist and rabble-rouser, who always preoccupied himself with attention-seeking antics, rather than giving Ekiti people the dividends of democracy. A statement by Fayemi’s media Adviser, Mr. Yinka Oyebode, described Fayose’s alarm as akin to a case of the wicked running when no one pursues. He averred that it would appear the governor wakes up daily in search of new controversies and making one spurious allegation after another oblivious of whether such allegations are reasonable, logical or sensible. Fayemi contended that the recent outburst was not only irresponsible, but unfair to the two former governors of the state. 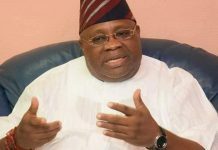 He said he was not stunned by Fayose’s vitriolic attack because under the Ekiti governor falsehood has been elevated to the level of statecraft being daily promoted by machinery of state. “My advice to him is: Let the governor go and honour the promises he made to the Ekiti electorate (if he ever made any). Let him pay workers their salaries, take governance more seriously and make the state safe for lives, property and investments. If he can do these, then he needs not fear anyone. “However, this is certainly a poorly contrived alibi for his ineptitude and apparent low capacity for the serious business of governance. It is purely a cheap blackmail that will not fly”, Fayemi said. The APC Publicity Secretary, Taiwo Olatunbosun, scoffed at the allegation, saying Fayose was afraid of his own shadow as a misfit in the position of authority, who has no respect for the supreme law of the country after his serial rapes on the Constitution. He said the governor is now jittery and as a result, has resorted to blackmail. Insisting that there was no meeting between Fayemi and Oni to plot Fayose’s removal, Olatunbosun said: “Fayemi and Oni are too decent and busy in their assignments to engage in such frivolous boasts that Fayose is accusing them of. Their track records as democrats and ‘Omoluabi’ are there for all to see as opposed to Fayose’s hit-and-run and ‘bolekaja’ reputation. 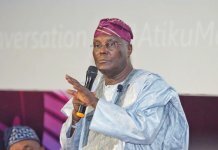 “He believes he is the wisest Nigerian, who thinks he can cunningly manipulate people’s reasoning and cheat the law to get away with his crimes, otherwise how can Fayose indulge in that disingenuous allegation that he is being haunted for refusing to join APC, when the truth is that APC leaders have been frustrating his pleas to join the party to save his head,” he explained. Some pundits were of the view that the lowly rated APC candidate, Rotimi Akeredolu won the recent Ondo election owing to the protracted internal crisis, which subdued the weight of Governor Olusegun Mimiko and his candidate, Mr. Eyitayo Jegede. This, according to this school of thoughts, might be another intriguing wand to rattle Fayose and make him unstable till the election time. They see this as a strategic move that can help APC’s cause, considering Fayose’s nature and strong ties with the voters. As the two warring sides beat the war drum, Ekiti people are patiently waiting to see how the whole game will pan out. Whether the new covert move against Fayose is a mere political trick to unsettle him ahead of the 2018 governorship poll or a real script to abruptly guillotine his tenure like it happened in 2006, it is yet to be seen as the events unfold.